Scottsdale junior Nathan Ponwith will have the chance to live out every tennis player's dream next week when he heads to the All England Club in London, July 4-12 to compete in the Wimbledon junior event. The 17-year-old Ponwith has been on a steady climb this year, moving up nearly 100 spots in the world International Tennis Federation rankings to No. 25, allowing him entry into junior Grand Slam events like Wimbledon. 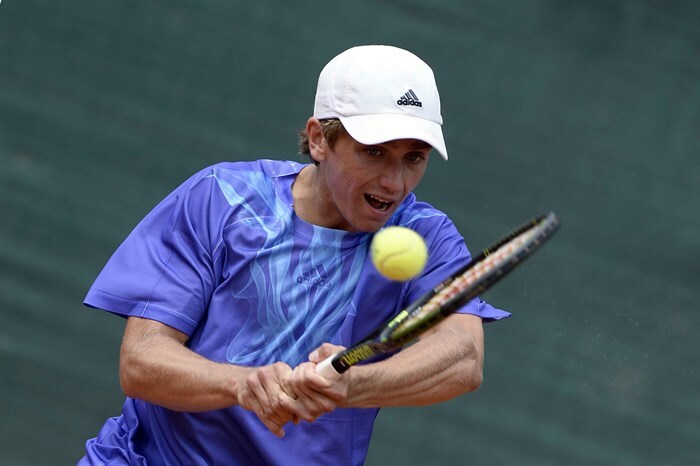 Just a couple of weeks ago, the Scottsdale native played his first junior Grand Slam event, the French Open in Paris, falling in the second round to No. 11 seed Ly Hoang Nam. Ponwith (pictured, right) has had a terrific spring, reaching the semifinals of the Easter Bowl Boys' 18s singles, won a Grade 2 ITF clay event in Argentina and has played a couple of other events in Belgium and Italy, reaching the quartefinals. He is currently the No. 12 ranked junior in Boys' 18s in the United States, despite a playing schedule that has seen him concentrate more on ITF play, than USTA events. For Ponwith, playing at Wimbledon next week will be a goal realized, one he's had since he was a little boy. "I'm pretty excited to get to play at Wimbledon for a couple reasons, " said Ponwith, who will head over on Wednesday of this week to begin preparing. "One it'll be fun to just to be able to play on grass, and also because it's Wimbledon. It doesn't get any bigger than that. I've always thought about playing at Wimbledon, since I was a about 6 years old it's been a goal of mine."